One of the most illumined and discerning fathers of Mount Athos in modern times was Elder Daniel, who built for the Athonite fathers a holy hut in Katounakia's desert. There, his group of monks in obedience were named after him - "The Danielites" - because of their elder's rare and charismatic personality. He became famous as a wise spiritual guide to many cenobitic monks, hermits and lay people because of his virtue and his education, which came from experience. Inspired by the Holy Spirit he was especially able to discern whatever traps and ambushes were set by evil spirits who, in the warfare launched by Satan, come unexpectedly. These temptations that come unexpectedly include all actions of a person, which display false virtues, delusions, exaggerations, and actions without a blessing, boasting and vanity. All these things lead to satanic pride. 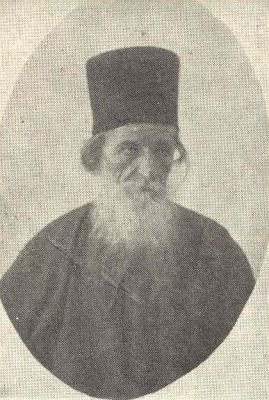 One of those brothers who were misled by Satan was the Konstamonitan monk Damaskinos. He thought that he could become a recluse like one of the heroic ascetics without asking his abbot's blessing. He decided not to go outside of the monastery at all. He went from his cell only to the church and to the trapeza, and completed his obedience tasks as assigned. He spent ten years of his life thinking he was a recluse, but filled with such pride! Meanwhile, because he thought himself so virtuous, his pride was increasing along with contempt for others, criticism, and disputes and quarels with the rest of the monks. Because the problem was not being corrected, the abbot sent for the revered Elder Daniel, who came willingly because he was always ready to help. The discerning Father Daniel called to himself the deluded Damaskinos, and with a characteristically sweet manner reasoned with him and slowly brought him to his senses and to repentance. Father Daniel used examples from the Old and New Testaments, Moses, the Israelites, and the Fathers, and said to him: "Brother, be careful from now on not to trust yourself and your own thoughts, but repeat that wise saying of Abba Dorotheos, 'Cursed be your thoughts and the knowledge you create.'"